Last week I announced my willingness to serve as a candidate for the 19th State Senatorial District. As many of you know, I like others have heard the rumblings and conversations that Senator Thelma Harper may retire and not run for re-election. Born and reared in Nashville, I have watched for more than 30 years how she became one of our most successful senators after monumental accomplishments as a metro councilwoman. Senator Harper always did more than what was required as a public servant. It was about helping and caring for others, while ensuring economic development within the 19th District. Hearing she may retire allowed me to reflect on the future of our beloved district. With this in mind, I reached out to Senator Harper to discuss her role as a public servant along with the current issues that are a priority. After many discussions, I realized much of the work that I do, such as working with the community to identify the needs of our neighborhoods followed by actions to solve the needs. Next, I believe we must always ensure our children are getting the best education possible regardless of where they attend school. Senator Harper was among the first to identify that many children did not have money for lunch or supplies required to be successful. I have personally supported children and families in the schools where I worked by giving them lunch money, and helping with school supplies so that they would succeed in their studies. Senator Harper also believes in second chances and programs that help our youth, as well as adults return successfully back to society. She works regularly with girls in youth detention facilities to show them they are loved and that there are programs for them to prepare for life outside of detention. Our church prison ministry visits the citizens of incarcerated facilities on a regular basis. At Kingdom Café & Grill, we strive to include the disenfranchised by hiring those who have paid their debt to society and giving them a second chance. We also have real affordable housing, to provide shelter to those who can not pay skyrocketing rent in Nashville. Finally I feel economic growth must be balanced so that we encourage Large and Small Business owners to operate in the 19th district. This is why we chose to open a business on Jefferson Street, Kingdom Café & Grill, to serve as a game changer for the area. This action correlates with some of the work Senator Harper has done throughout the years. Therefore, I proudly have announced my commitment to serve, represent and run for Senator in the 19th senatorial district, if Senator Harper decides to retire and not seek re-election. I am the person who can continue to work tirelessly for the State of Tennessee and the residents in the 19th Senatorial District. Like Senator Harper, it’s more than just politics, it’s about helping and caring for our citizens and neighborhoods. In the interim, I will continue to support “my Senator” as she continues to work in the State Senate for the next two years. Should Senator Harper retire, then I submit myself as the leader…for such a time as this. 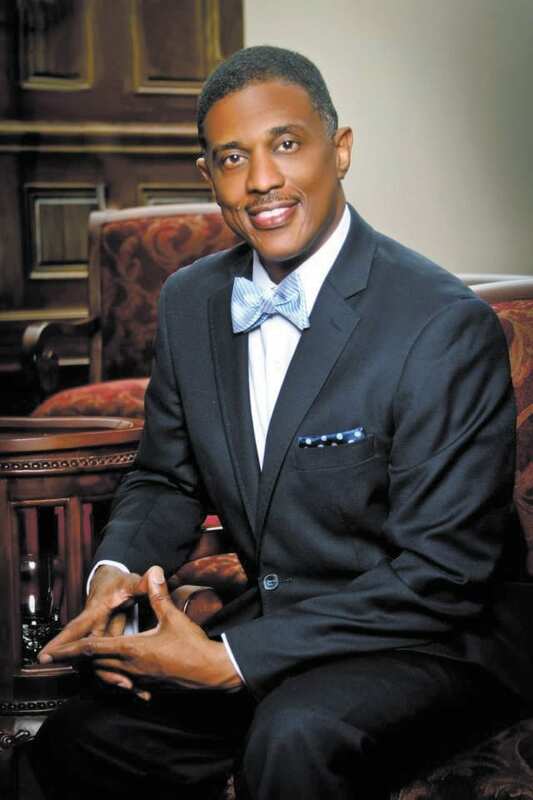 Pastor Howard Jones, Jr., is the Senior Pastor of Fairfield M. B. Church in Goodlettsville and an assistant principal at J.F. Kennedy Middle School, a part of the MNPS system.